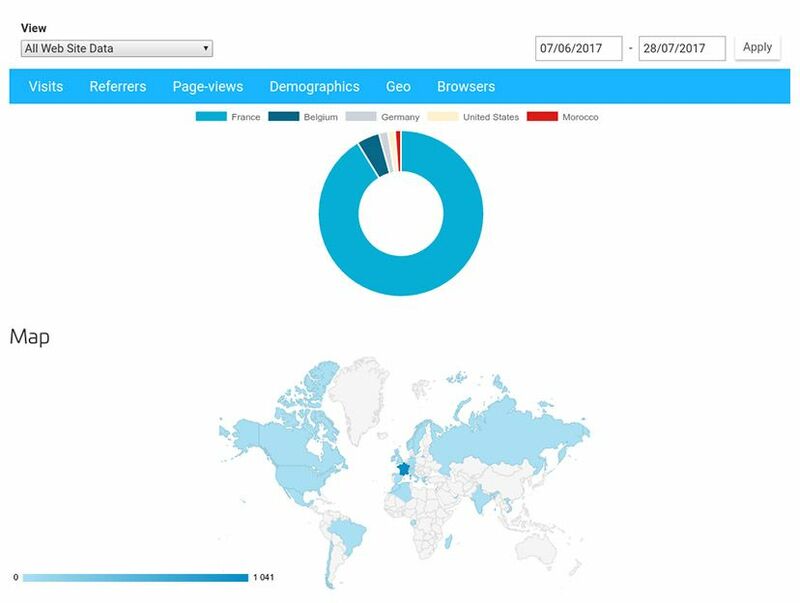 The SiteW has improved your website statistics, in order to enable you to optimize your website as much as possible: your SiteW dashboard is now connected to your Google Analytics account. Thus you have quicker and easier access to statistics that are more accurate and complete. 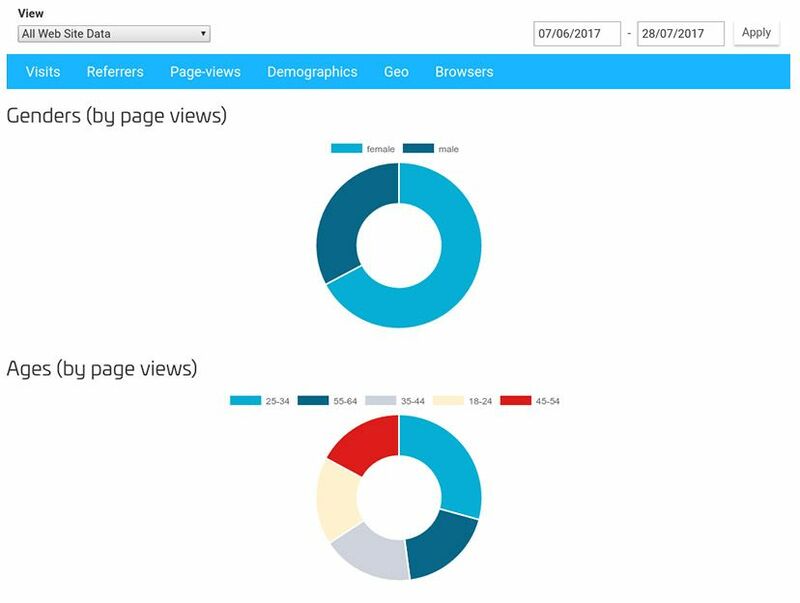 If you already have configured a Google Analytics account, where you can view your website traffic, you will be able to select it to display your stats on your SiteW dashboard. If this is not the case yet: after you have created your Google Analytics account (in just 2 clicks), SiteW will automatically configure it for you. 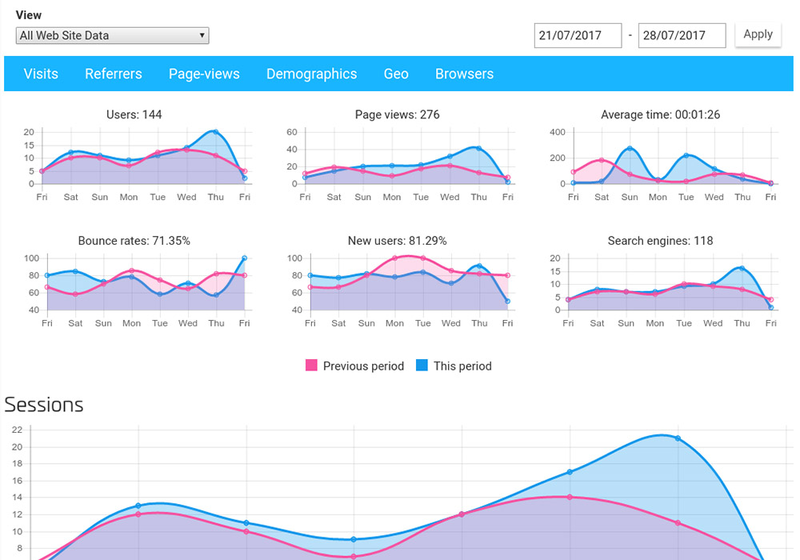 Once logged in, you will be able to view the new statistics graph: it is clearer, more detailed and easier to read. The appearance of the old graph has also been improved, in order to make it more enjoyable to read. You can access your website statistics more easily and they are more accurate, because they are directly connected to your own Google Analytics account. You can still access your old statistics if necessary, for you to be able to trace the history of your website and to get a general overview of the evolution of your site over time. Connect your Google Analytics account (if you already own one) to your SiteW dashboard -or first create a Google Analytics account (if you don’t have one yet). Then you can select one of your already created configurations or create a new one. If you haven’t created any configuration yet, a new configuration will automatically be created. Go back, if necessary, to older statistics. log in to your Google Analytics account in just one click, to get the latest stats. You now have instant access to more detailed statistics of your website: that way you will be able to improve your SEO and optimize your e-marketing strategy, in order to make your website even more effective.